Indoor LED Uplighters, with red, green, blue and amber combined LEDs, offer over 4 million colours! Stand alone, preset colours, or dynamic scrolling or programmable. 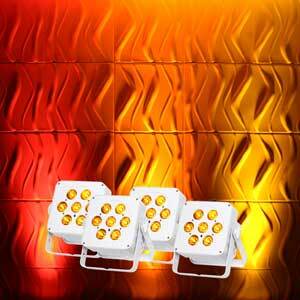 7x5W output per head, 25° Beam angle, perfect for up lighting walls or columns, or high lighting room features. Use the colour picker, at the bottom of this page, and let us know your "RGB" colour choice (or choices! ), and we can program the heads up to your preferred colours. Alternatively hire the optional controller, and create and change the rooms colour to suit your mood! 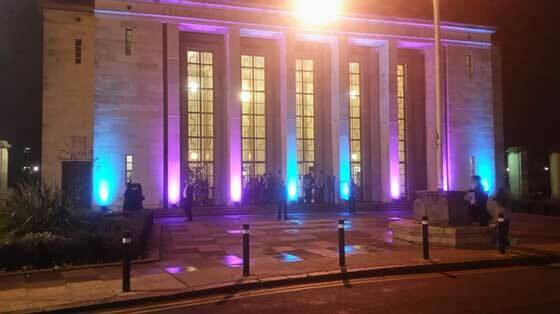 Outdoor IP65 LED Uplighters, with red, green, blue, white, amber and UV combined LEDs, offer over 274 Billion colours! 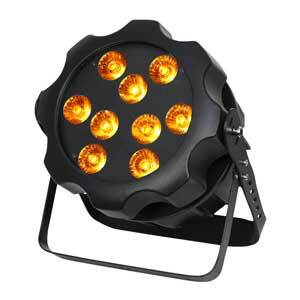 9x12W output per head, 25° Beam angle, perfect for up lighting walls or columns, or high lighting room features. Click on the individual colours at the bottom, to get the "RGB" value, or enter an RGB or HEX value, to see a suggested pallette of compatible colours.